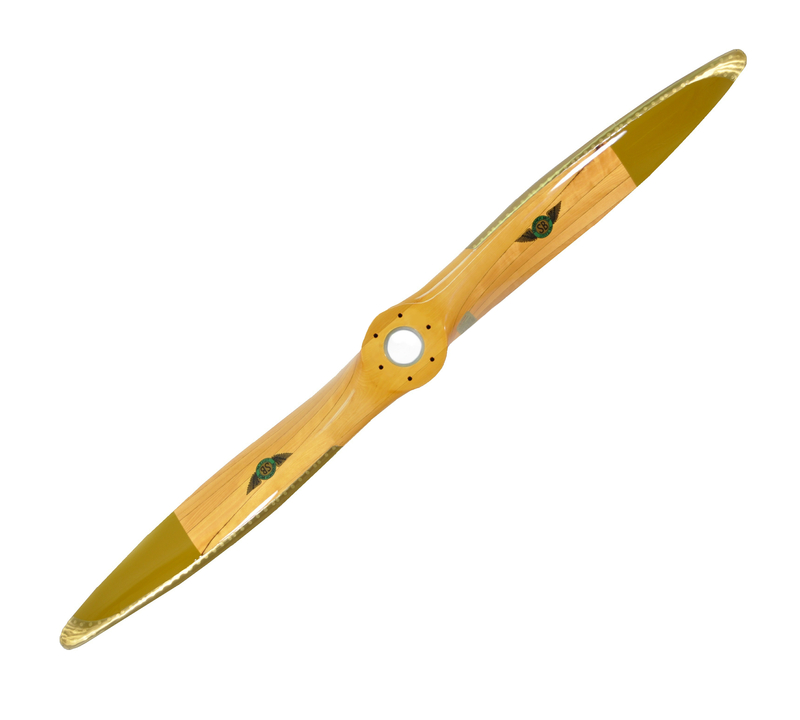 Classic 1940’s wood propeller constructed of laminated Birch using resorcinol glue. Aircraft grade cotton fabric applied to the last 12 inches of the blade. Hand formed brass leading edge and cap screwed and riveted on for erosion protection. Spar varnish finish. All Sensenich wood aircraft propellers are manufactured from aircraft grade Birch and laminated using resorcinal glue. Each propeller is CNC machined and hand-finished to very tight tolerances. Each propeller then goes through a rigid 56 point inspection to assure you of the highest quality, most problem free propeller available.